The anti-gun attorney general in Washington State is reportedly having a fit that a task force created to discuss strategies for preventing “mass school shootings” did not include a 10-round restriction on magazine capacity that he favors on a list of 25 recommendations to the state legislature, according to the Everett Herald. 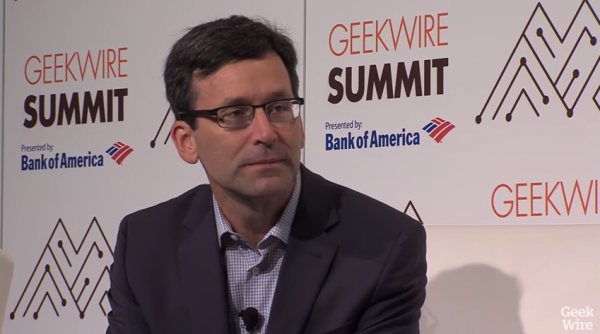 Democrat Bob Ferguson, who has pushed gun control proposals over the past few years, reportedly wanted the task force “to embrace” the magazine capacity limit, with exemptions for law enforcement, military and recreational shooting, the newspaper said. A ban on so-called “high capacity” magazines takes effect in New Jersey this week, criminalizing possession of such magazines. Possession of such a magazine could land someone in jail for up to 18 months with a fine of up to $10,000. The Washington task force included representatives from Ferguson’s office, city and county law enforcement agencies, two- and four-year colleges, the ACLU, Washington State Patrol, the Washington Coalition of Crime Victims Advocates and Frontier Behavioral Health, the newspaper said. There does not appear to have been any representation from the firearms community. Anti-gunners have lately been pushing hard for all kinds of new restrictions, and with Democrats having regained control of the U.S. House of Representatives, there are promises of new gun control efforts on Capitol Hill beginning in January. By no mall coincidence, this flap has erupted at the same time the Seattle Times has published a detailed look at gun-related crime, which quotes a 2015 study that focused on 680 people admitted to Evergreen State hospitals with gunshot wounds in 2006-2007. Translation: People whose lifestyles might somehow be associated with crime or people involved in criminal activity are more likely to get shot. The story noted that one young teen “was twice contacted by Burien police in 2017 in the company of armed gang members.” One of those individuals was subsequently charged with murder in an April 2017 case. That 13-year-old was reportedly killed in a double-homicide in March of this year. What these two reports suggest is that while anti-gunners focus on devices, others are looking at people who may become involved in crimes, either as perpetrators or victims. Only time will tell which approach is the more reliable.